I’ve become slightly obsessed with bodyweight training. I think it is something that anyone at any level can do while still being super challenging even for the advanced lifter. A few weeks ago I took a workshop with Max Shank that went over Front Levers, the Planche, the Human Flag, Handstands, Back Bends and even more. There are so many ways to regress and progress bodyweight moves to make them work for everyone. Which is why I was super excited when I saw this Bodyweight Training Book and Video bundle on Mark Sisson’s (The Primal Blueprint) twitter the other day. 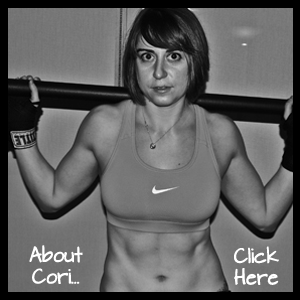 Bodyweight training books and videos!!!! This bundle has everything…Progressions and regressions to help you reach those crazy cool moves. And books on mobility and flexibility to help you prevent injury. It even has some recipes and clean eating stuff if you need some motivation. I thought some of you peeps would be especially interested in the Pull Up Push Up Challenge book and Nia Shanks Beautiful Badass Bodyweight Workout Guide. Anyway, just wanted to share because I love some of the books on here and thought you guys might too! Posted on March 25, 2014, in Man Biceps, Show me yours and tagged bodyweight exercises, bodyweight training, bodyweight training books, must read exercise books. Bookmark the permalink. Leave a comment.